The Haunting of Hill House Finale Recap: Ghosts in the MachineThe season finale reveals some dark truths about Hill House and some darker truths about its characters. The Haunting of Hill House Recap: The Sleep of ReasonA spectral flapper makes an appearance in an episode that goes even darker than Shirley Jackson’s novel. The Haunting of Hill House Recap: Homeward BoundThe house grows angry in an episode in which some ugly truths about Steve come to light. The Haunting of Hill House Recap: Not Your PlaceThe series reveals the backstory of the Dudleys in a standout episode. The Haunting of Hill House Recap: IndivisibleWhat is Hill House? A fierce, compelling debate brings us no closer to an answer in this episode. The Haunting of Hill House Recap: Whoa, NellieThe series first season reaches its midpoint with a scary episode that captures everything it’s doing right. The Haunting of Hill House Recap: A Fearless Moral InventoryWe meet another Hill House ghost in an episode focused on Luke’s history of addiction and its ties to his haunted past. The Haunting of Hill House Recap: Sensitivity TrainingThe focus falls on Theo in the series’ most emotional episode to date. The Haunting of Hill House Recap: The Fix-It WomanSadness starts to creep in alongside the scares as the series’ debt to Shirley Jackson becomes even more apparent in the second episode. The Haunting of Hill House Premiere Recap: Darkness WithinA series inspired by Shirley Jackson’s terrifying novel kicks off with a spooky episode true to Jackson’s spirit. 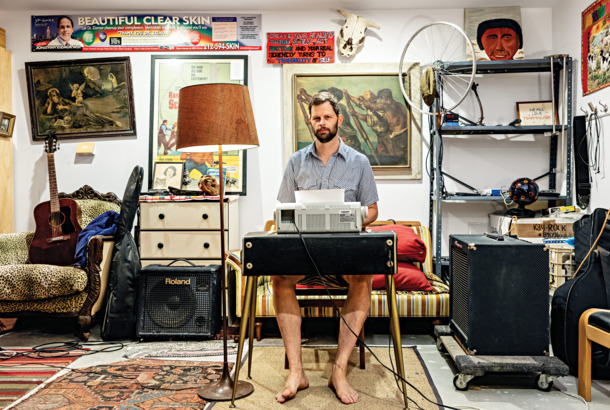 How Novelist John Wray Made His Brooklyn Brownstone Into a Writers’ ClubhouseThis Park Slope townhouse is a cross between an artists’ colony, a co-working space, and a frat house. Megan Abbott Is Back, With a Further Exploration of Female RageIn Give Me Your Hand, the thriller writer probes the psychological underpinnings of women who kill.